Autumn marks the time of year when we trade our cans of lukewarm IPA for a chilled Porter, and our swimming holes for a ridgeline hike studded with fall foliage. There are no shortage of postcard-worthy spots to admire the explosion of autumnal hues along the Charles River. Lucky for us Bostonites, all it takes is a walk outdoors to see all the best reds, yellows, and golds autumn has to offer. But for those willing to travel a bit farther outside city limits, there’s something truly remarkable about summiting a peak and looking out onto a sprawling, technicolor expanse as a crisp breeze carries the unmistakable smell of fall. Such a sight can be breathtaking. And not just from the ascent. So, when you’re ready for some authentic New England leaf peeping, check out these outlooks, vistas, and hidden gems outside the city limits. Some trails near Boston make for a quick trip, while others are off the beaten path and take the day. For meandering forest trails, a short climb to a modest summit, and a day spent immersed in nature without an exhausting drive home, a hike at Noanet Woodlands is what you're after. 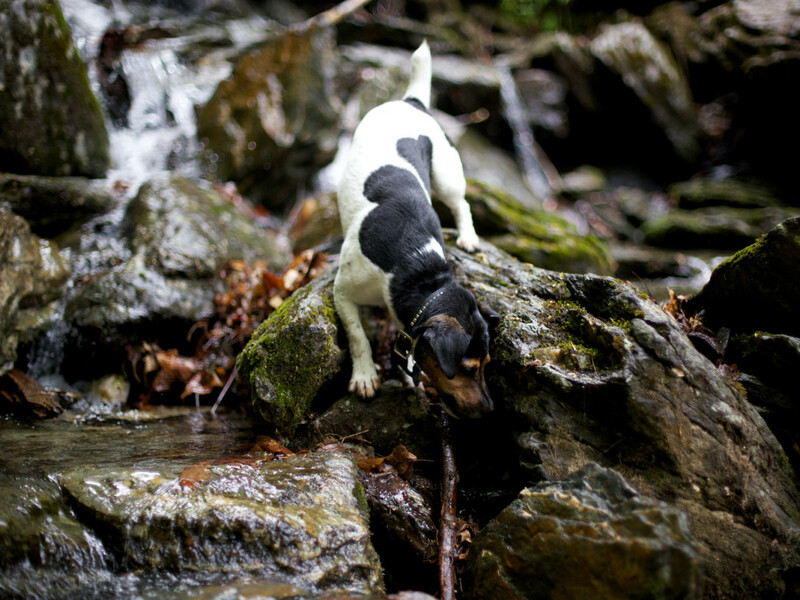 Serious hikers looking for a challenging trail will come home disappointed, but those with young children and a dog (or two) in tow will appreciate the easy footing and gradual inclines of Noanet’s wide trails. There’s also something to be said for fitting a hike into a busy day when you can’t dedicate hours to your trek. Each of Noanet Woodlands’ loops can be completed at a brisk walking pace in 1.5 hours, and a few even less. Along its 17 miles of trails, you’ll find idyllic ponds, a historic mill, and a view of the city skyline from Noanet Peak. To see the most fall foliage at Noanet, take the Yellow, Red, or Blue Loops; the Orange Loop leads to a charming, but very green, evergreen forest. If you visit Noanet Woodlands Monday through Saturday, wear a blaze orange or other highly visible garment, as bow hunting is allowed. There is no hunting on Sundays. Blue Hills Reservation is one of the best bang-for-your-buck hiking destinations within a 30-minute drive from downtown Boston. Though its headquarters and main parking lot is located in Milton, the more than 7,000-acre park extends into Quincy, Randolph, Canton, Braintree and Dedham. The Reservation's 9-mile traverse is a popular out-and-back hike, but shorter loops, like the Skyline loop, Green Dot loop, and the ominously-named Breakneck Lodge loop, take hikers through some of Blue Hills’ best spots. 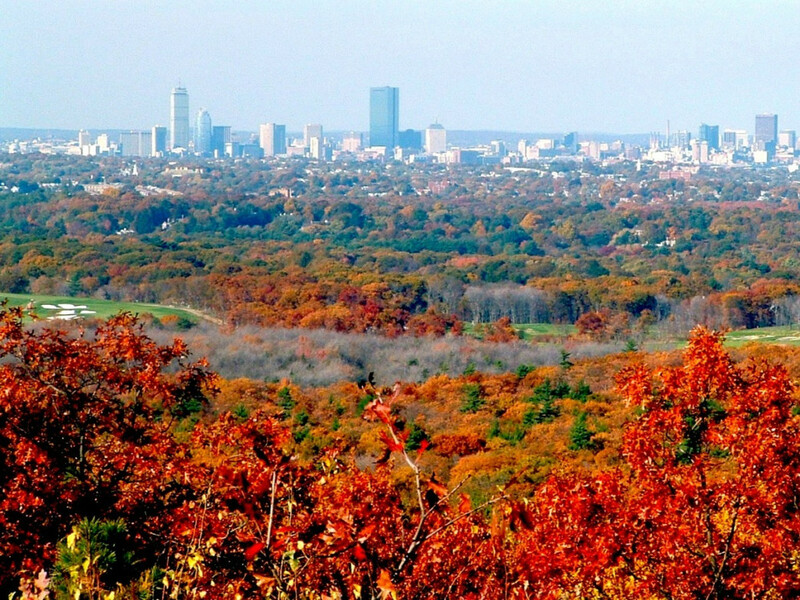 Be sure to make it to the Reservation’s pseudo-summit on Great Blue Hill, too. There you’ll find the historic Eliot Tower, and a great view of the Boston city skyline. Parts of the Reservation’s terrain involves technical footing, and the Skyline Trail especially has a few rocky scrambles; but for the most part, trails are even, well-maintained, well-marked, and perfect for a hike or run. A little over an hour’s drive from Boston, Mount Watatic is an easy day trip for Boston-area residents looking to escape the city. Its gentle route along the Midstate Trail suits the occasional outdoorsman, while its steeper, more rigorous climb up Wapack Trail will appease those who like to work up a sweat. Regardless of your pace, the panoramic vista at the top is what you’ll remember. The unique double-summit is also an ideal lunch spot. Don't forget the picnic! Amidst the vibrantly colored hills and azure lakes, you can spot Mt. 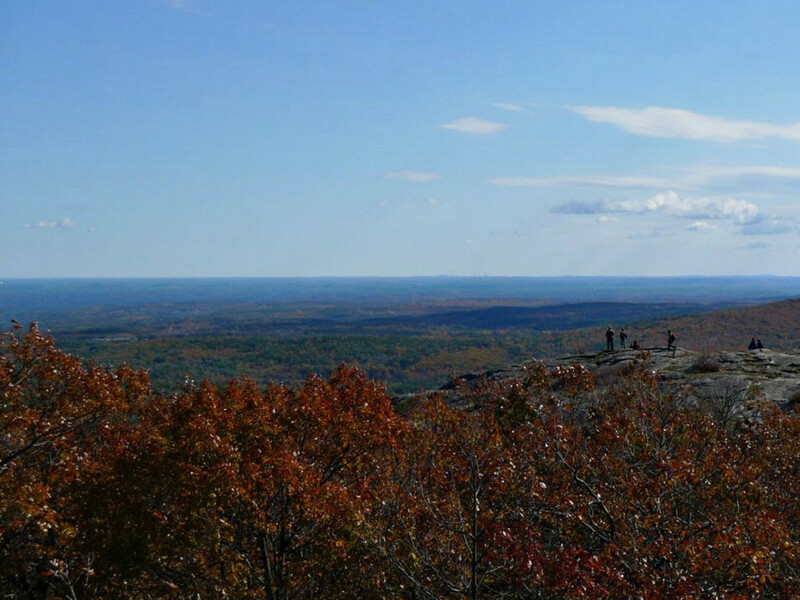 Wachusett and Mount Monadnock — and even Boston on a clear day. 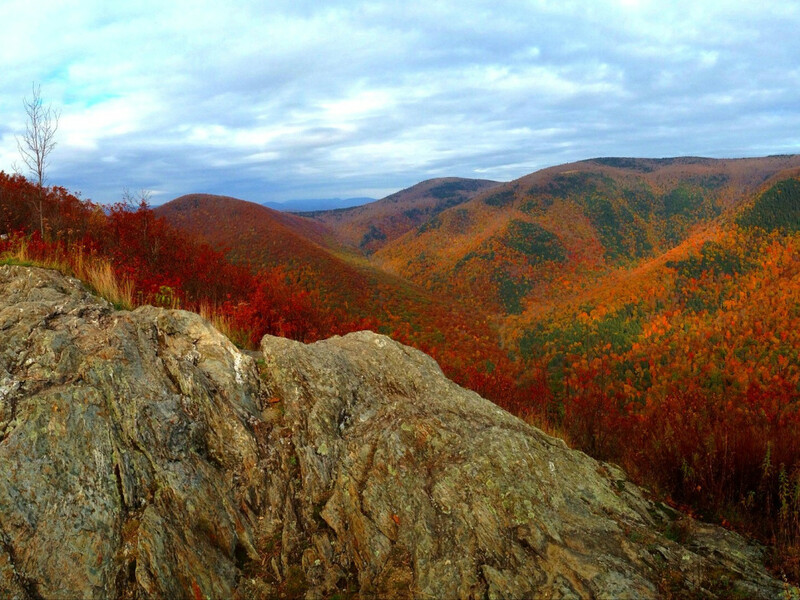 With its characteristic New England rocky trails, you’ll want to pack at least trail running shoes for this hike. Since the majority of this loop hike is beneath tree cover, fallen leaves can mask uneven terrain. Watch your step! Standing 3,491 feet tall, Mount Greylock is both Massachusetts' highest peak and a great vantage point to admire fall foliage. What you won’t find closer to Boston is the steep climbs and elevation gain characteristic of trails in New Hampshire’s White Mountains. 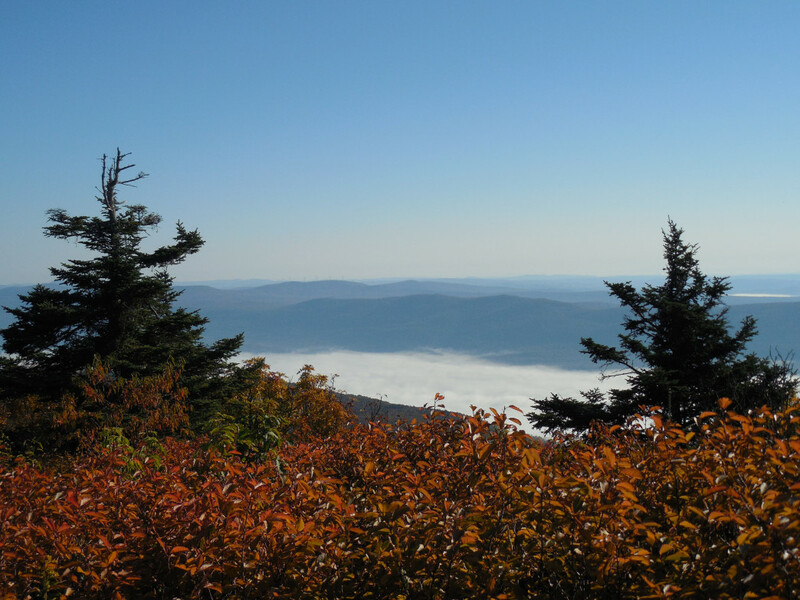 Located in western Massachusetts, getting to, and hiking, Mount Greylock will be an all-day affair. The drive itself can be just as rewarding as the hike when you take the Mohawk Trail Highway, an historic, 69-mile road that winds through the western part of the state. The scenic byway touts hundreds of attractions along the way, including some unique geological features, like New England’s only natural bridge. Too far for a day trip? Overnight accommodations are available atop the summit at Bascom Lodge through late October. A splurge for Appalachian Trail hikers, the summit lodge houses 34 guests and includes a kitchen serving everything you’d want after a long hike, including feel-good fare like cheeseburgers and specialty ice cream.